Personality and style are two ways you can set yourself apart. You may want to think of how your closest friends describe you. Are you sweet? Blunt? Hilarious? Sarcastic? There will be an audience for everyone – and likewise, a non audience, so you can’t get your feelings hurt by that fact. Not everyone will like you – no matter how sweet and friendly you may be. Truly effective marketing will not only attract your perfect customers, it will repel the customers who are not a good fit with you. You want to sit down and map out what you want to be known for before you buy a domain, before you start blogging, and before you begin creating and launching new products. You can also set yourself apart by the types of things that you do. Are you a hands on, involved marketer? Do you routinely get in the trenches with your audience and let them follow along, while you give great feedback to them about their own journey? My business model is, “Learn it. Do it. Teach it.” I learn how to do something I want or need to do, I do it, and then I teach others how to do it. Do you want to be known for your technical prowess? Some marketers are known for their informative video marketing skills while others take top prize for their written content or audio podcasts. 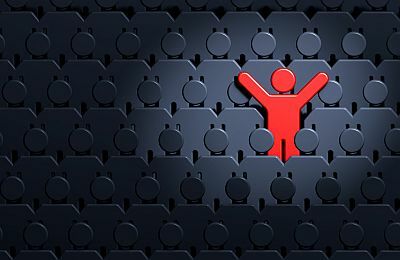 You might be the person your niche audience turns to whenever they need to trust certain, specific information – like how to rank high in Google or how to pick the best stocks (depending on your niche). Whenever you choose how you want to be known – it will make it easy for you to have a streamlined message in every piece of content and social networking that goes out under your name. That consistency is gold to your followers.